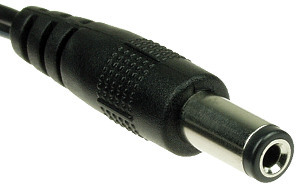 Browse for Razor® battery chargers by vehicle make and model. 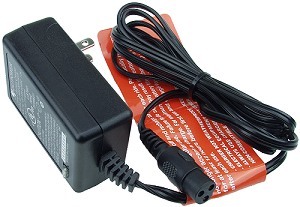 This page exclusively lists genuine OEM Razor® battery chargers. 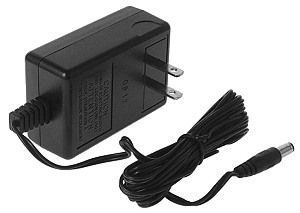 Sometimes due to discontinued or unavailable OEM battery chargers Razor® electric scooters and bikes may require aftermarket battery chargers which are not listed on this page. 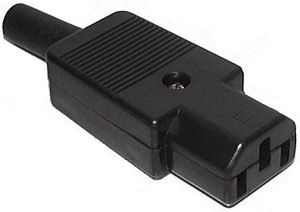 To view all available battery chargers for Razor® electric scooters, bikes, and ride-on vehicles please visit the Razor® Electric Scooter and Bike Parts page. 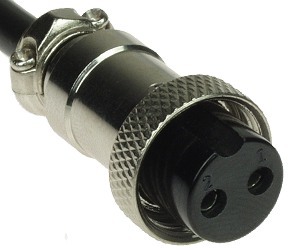 All battery chargers on this page have standard 120 Volt wall plugs. 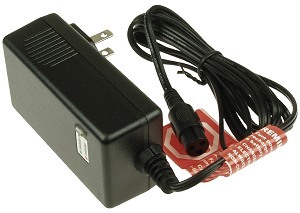 12V 0.6A (600 mA) battery charger for the Razor® Electric Wagon. Built-in LED light on front of battery charger indicates when battery is fully charged. 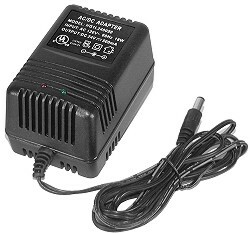 Wall mount 24V 0.5A battery charger for Razor® electric scooters. There is a LED light on the front of this battery charger to indicate when the battery is fully charged. 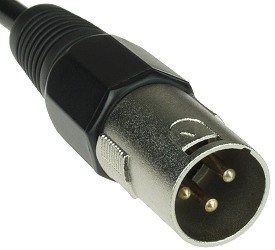 All of our battery charger have standard 120 Volt wall plugs and the output plug pictured below is attached to the output cord. New wall mount design 24V 1.5A battery charger for Razor® E200, E200S, E300, E300S, iMod, Sports Mod, Pocket Mod, electric scooters, PR200 Pocket Rocket, Mini Chopper, Rebellion Chopper electric bikes, Ground Force, Ground Force Drifter, Dune Buggy electric go karts, and Dirt Quad electric ATV. There is an LED indicator light on the front of this battery charger to let you know when the battery is fully charged. 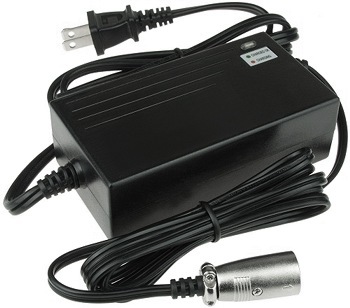 36V 1.6A battery charger for Razor® MX500 & MX650 electric dirt bikes. 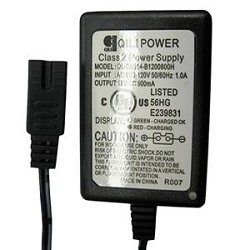 This battery charger has a built-in LED indicator light on top to let you know when the battery has been fully charged.